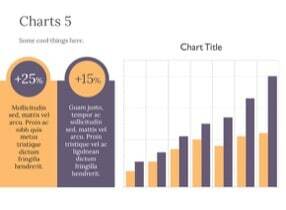 If you are looking for Keynote Charts, here is a free file to grab! 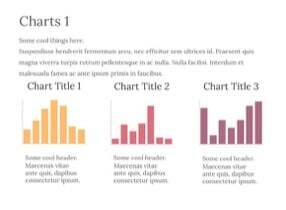 These Keynote elements will for sure make a nice graphical representation of your data. 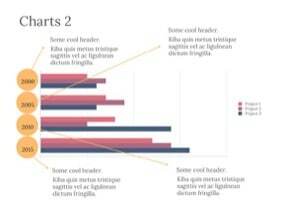 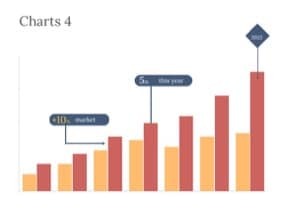 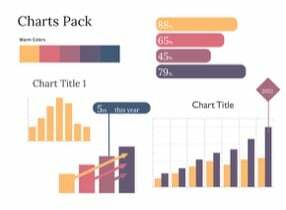 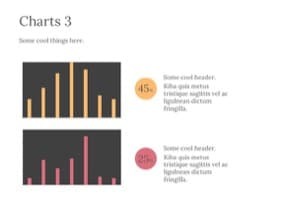 You will find 5 different Chart designs, which you can copy-paste to your project, change size or colors, combine separate diagrams and graphs, and modify in any way you need. 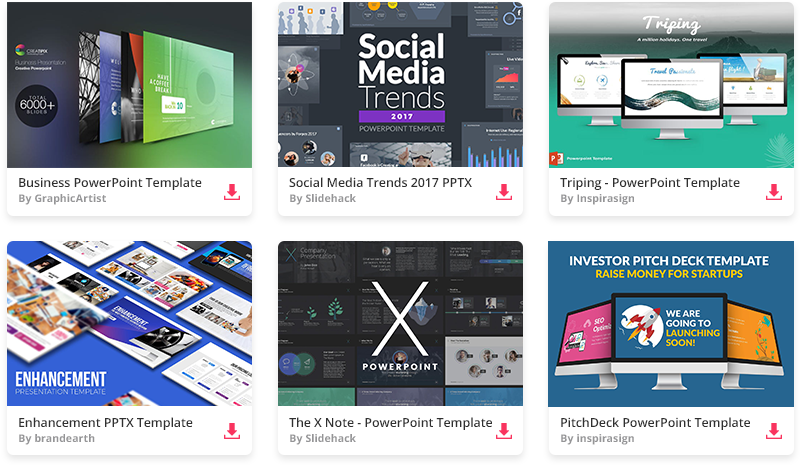 Download it for free and use in your own Apple Keynote presentation.